Haworth is in West Yorkshire, about 9 miles from Bradford and is known for a number of things. The Bronte’s lived here. In 2016 the British Television film about the Bronte family was filmed in Haworth and the surrounding countryside. The Keighley and Worth Valley Railway is a popular draw card for rail enthusiasts and featured in the 1970 film version of the Railway Children. In more recent times Haworth has been at the forefront of the Fairtrade movement as the World’s First Fairtrade Village. 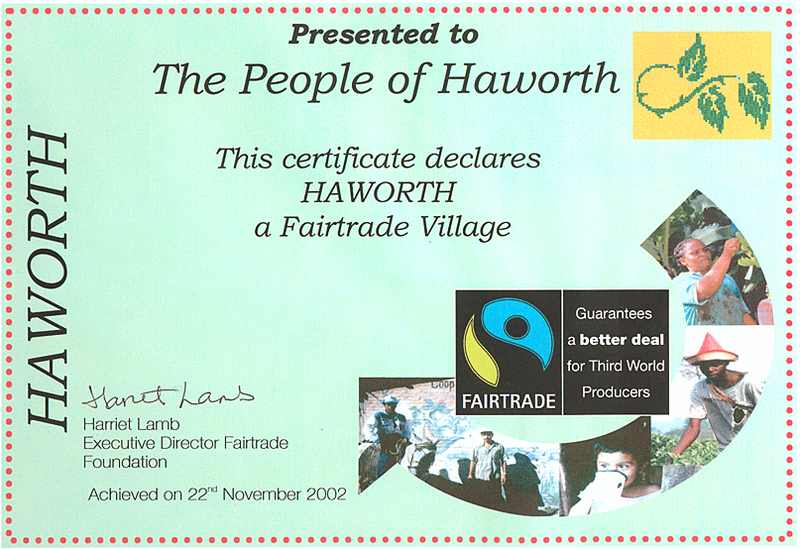 Haworth was the eighth place and the first village, to be awarded Fairtrade status by the Fairtrade Foundation on the 22 November 2002. Fair trade is a trading partnership, based on dialogue, transparency and respect that seeks greater equity in international trade. It contributes to sustainable development by offering better trading conditions to, and securing the rights of, marginalised producers and workers – especially in the South. A number of campaigns and events are conducted throughout the year to promote fair trade and raise awareness of fair trade related issues. The most recent event was a Truffles and Treats Master Class held on Friday 30th November at West Lane Baptist Church, Haworth.